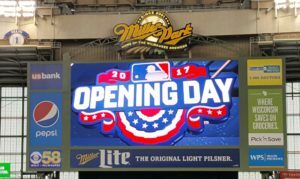 The Milwaukee Brewers, in the second season of their current rebuild, open the 2017 campaign against the Colorado Rockies at Miller Park (1:10 p.m.) today. 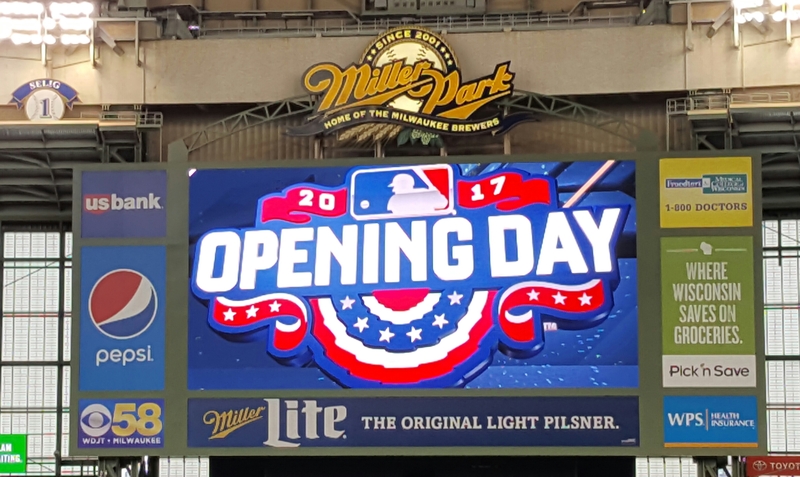 By the numbers, the Brewers are 25-22-1 all time on opening day, including a 10-8 home mark (4-4 Miller Park). They’re opening at home for the sixth straight season and for the fourth time against the Rockies. All three previous opening matchups against the Rockies have also come at Miller Park and the Brewers are 1-2 in those matchups. The Brewers went 5-1 against Colorado last season, including a 3-0 record at Miller Park. Ryan Braun will become the fourth player in franchise history to start at least 10 openers. Robin Yount started 19, Paul Molitor 12 and Jim Gantner 11. Chase Anderson capped off a solid spring with five-innings of one-hit, shutout ball to lead the Milwaukee Brewers to a 5-2 exhibition win over the Chicago White Sox on Friday night at Miller Park. Anderson allowed one hit and one walk with six strikeouts, seeing his spring ERA drop to 2.79 in six starts. He finished 9-11 with a 4.39 ERA in 31 games (30 starts) last season, but he went 6-1 with a 2.56 ERA over his final 12 starts. Tyler Cravy, Rob Scahill and Jacob Barnes combined to allow just one hit over three shutout innings in relief. Travis Shaw, hitting in the cleanup spot, had a RBI single and a home run for the Brewers. The long ball was the fifth of the spring for Shaw. The White Sox scored both of their runs in the 9th inning off of Carlos Torres, who allowed a walk and two hits. 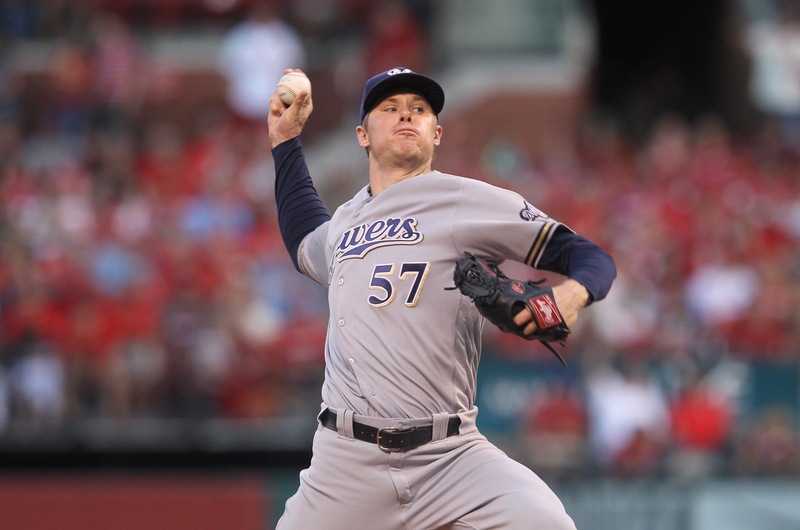 Jimmy Nelson will pitch for the Brewers this afternoon (1:10 p.m.) in their final exhibition against the White Sox. The Brewers will open the regular season on Monday against the Colorado Rockies at Miller Park. The Milwaukee Brewers gave starter Jimmy Nelson a four-run lead, but the Pirates rebounded for a 9-6 victory at Miller Park, their third straight win in the series. Nelson didn’t get hit with the loss, but he wasn’t able to get through the fourth inning with the Pirates rallying for five runs to erase what was a Brewers 5-1 lead. Nelson served up six runs (five earned) on seven hits with three walks and one strikeout in 3 2/3 innings. Nelson is now 2-10 with a 5.87 ERA over his last 16 starts. The Brewers tied the game at six when reliever Tyler Cravy clubbed a solo home run. It was both the first hit and first home run of Cravy’s career. Hernan Perez also homered twice for the Brewers, a three-run homer in the first and a solo shot in the third. The Brewers will send Chase Anderson to the mound today as they try to salvage the final game of the four game series against the Pirates. Tyler Cravy served up home runs to Joey Votto and Brandon Phillips and the Milwaukee Brewers dropped their third straight, 5-1 to the Cincinnati Reds at Great American Ballpark. Cravy was making a spot start for the Brewers after being called up from Triple “A” Colorado Springs to fill in for Wily Peralta who is on paternity leave. 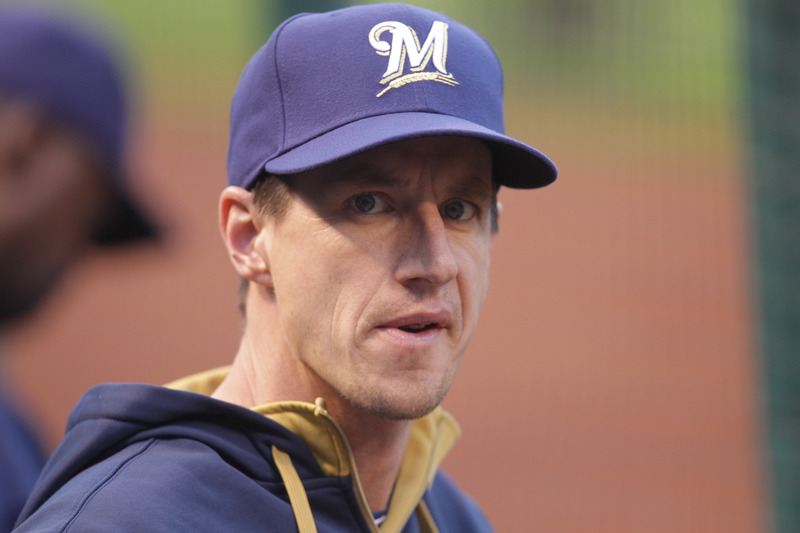 Brewers starting pitchers saw their overall ERA climb to 6.34, which is worst in the majors. The Milwaukee Brewers have sent reliever Tyler Cravy back down to their Triple “A” farm club at Colorado Springs, allowing them to add a fifth outfielder to their roster. 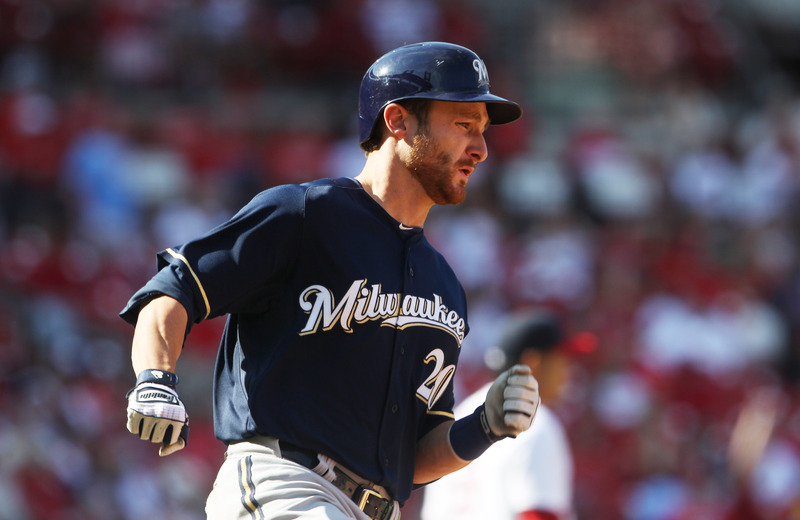 The Brewers recalled Alex Presley from Colorado Springs after last night’s game. Cravy pitched the final inning of last night’s game against the Twins. He allowed one run, which raised his ERA to 3.18 with no record in five appearances. Presley was the final position player the Brewers cut at the end of Spring Training. He’ll become a third left-handed hitting outfield option for the Brewers, joining Ramon Flores and Kirk Nieuwenhuis. The Pittsburgh Pirates used some sloppy Milwaukee Brewers defense in the third inning to score five runs and go on to a 9-3 win at PNC Park on Sunday afternoon. Making his first start since coming up from Class AAA Colorado Springs to become the fifth starter in the rotation, Zach Davies had command issues from the start. Then throw in a sloppy defensive effort and the game got out of hand quickly. The Milwaukee Brewers have placed starting pitcher Matt Garza on the disabled list before he even got to his first start. Garza had right shoulder tightness during his last exhibition start against the Houston Astros. His trip to the DL is dated back to April 2, the day after he suffered a right lat strain. 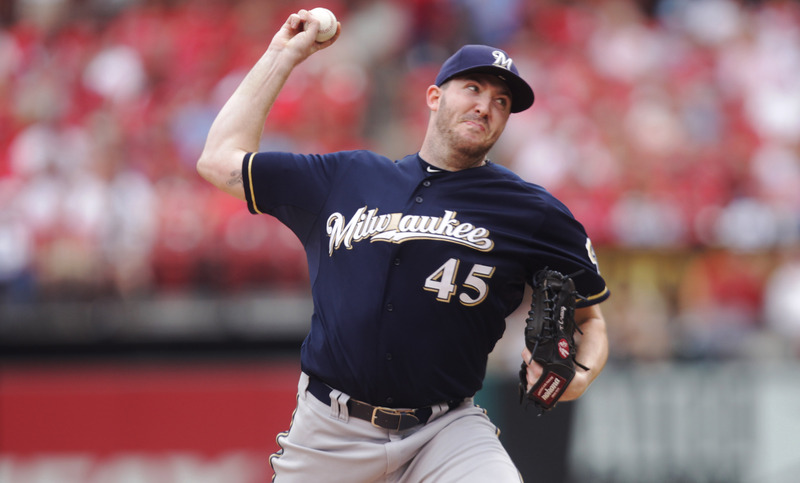 The Brewers are calling up Tyler Cravy to add help to their bullpen. Because of a pair of off days coming up, the Brewers won’t need a fifth starter for a while. Garza is coming off a 6-14 season with a 5.63 ERA which led to a demotion to the bullpen. Taylor Jungmann will move up in the rotation and pitch the series finale against the San Francisco Giants on Wednesday. Cubs starter Jake Arrieta (20-6) dominated the Milwaukee Brewers to become MLB’s first 20-game winner this season. The righthander struck out 11 Milwaukee batters and allowed just three hits in a 4-0 Cubs win Tuesday night at Wrigley Field. The playoff-bound Cubs (89-62) got to Brewers righty Tyler Cravy (0-8) when Kris Bryant blasted a two-run homer in the third. Cravy would surrender three hits and strike out three in his four innings, all en route to his eighth loss of the season. Chicago added runs in the fifth and eighth innings off relievers Kyle Lohse and Corey Knebel, respectively. Arrieta dominance included a stretch of 14-consecutive batters retired as he tallied his third complete game of the season. 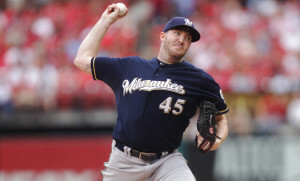 After Tyler Cravy lost for the fourth time in as many starts and fifth time this season, the Milwaukee Brewers announced they will send him to the bullpen and go with a four-man rotation for awhile. Cravy allowed four earned runs and seven hits in just 2 2/3 innings on Tuesday night to fall to 0-5 with a 6.67 E-R-A. In six total appearances (27 innings), Cravy has struck out 18 and walked 13 hitters. 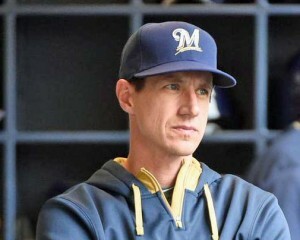 Manager Craig Counsell said he had an idea of who would eventually take Cravy’s spot in the rotation but that he isn’t yet ready to divulge it. Milwaukee pitchers surrendered five home runs on Thursday and the Brewers fell to the Chicago Cubs 9-2 at Wrigley Field. Cubs rookie Kyle Schwarber clubbed a pair of home runs. Dexter Fowler, Anthony Rizzo and Chris Denorfia also went deep for Chicago. The Cubs ran their win streak over the Brewers to seven games. Chicago has also won 13 of its last 14 games. Brewers rookie Tyler Cravy (0-4) allowed a pair of singles and three walks through four innings before the Cubs exploded. The Brewers stole four bases off of Cubs starter Jon Lester (8-8) in the third inning but managed to score just one run. The Brewers return home to host the Philadelphia Phillies in the first of three at Miller Park tonight. The Phillies have played better of late, but still own the worst record in the majors at 46-69.